Bits & Scraps Of My Life: Hallmark, ya got nothin to worry about from me! Hallmark, ya got nothin to worry about from me! Oooopppps........almost forgot, Happy Tuesday!!!!! 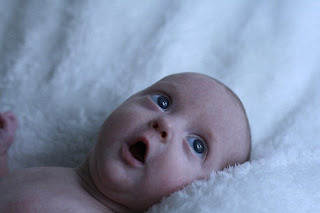 :) I finally have some peace and quiet to sit and blog. Gotta love bedtime!!! The kids have been in rare form tonight. "Don't touch my leg!!"" If you look at me I'm gonna punch you!!!" " Hey!! That's my hat!!!!" "Moooooooommmmmm!!!!" And the saddest part.........that was the 15 and 13 year old!! OMGosh!!! What is wrong with them????? And women are moody??????? Really?????? I'm really tempted to duct tape them together and they can either solve their differences or gnaw their arms off to get away from one another......tough love.......lol. 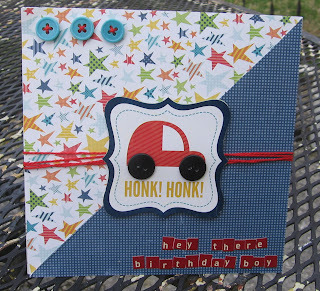 I used some of my Echo Park "Little Boy" scraps along with some Cosmo Cricket Tiny Type to make this cute birthday card. I dug out some stash buttons, which either came from yard sales, thrift stores, Walmart or Hobby Lobby.....lol. And I am sadly , without any bakers twine, which would have been so cute!!! So I made due with some embroidery floss. My 6 year old thinks it's so cool I used buttons for the wheels......lol. Bless his sweet little heart :):) I think I'll save it for his birthday and cut a tiny photo of him out and put it in the window of the car!!! Next I have what began life as the OWH sketch 59. In the end I veered off someplace. Probably because I relied on my memory to do the sketch.......not q good idea in my case......LOL. But I wanted everyone to know this was indeed my inspiration I promise!!! Speaking of cute..........here is a new photo of little baby Nevaeh!! I adore this and betcha bottom I will be scrapping it!!!! It's okay to veer off, that's what sketches are for, a good jumping off point! 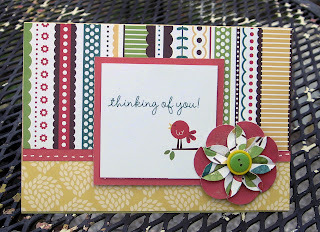 Your card is adorable, I love the bright colorful paper. 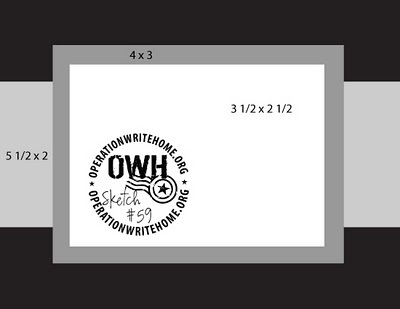 Thanks for joining us in this week's OWH Stars & Stamps Sketch Challenge! Love the idea of putting your sons picture in the car window, such a cute card. Thaks for joining us this week over at IDIC. I disagree!!! Hallmark best start panicking! These are AWESOME! 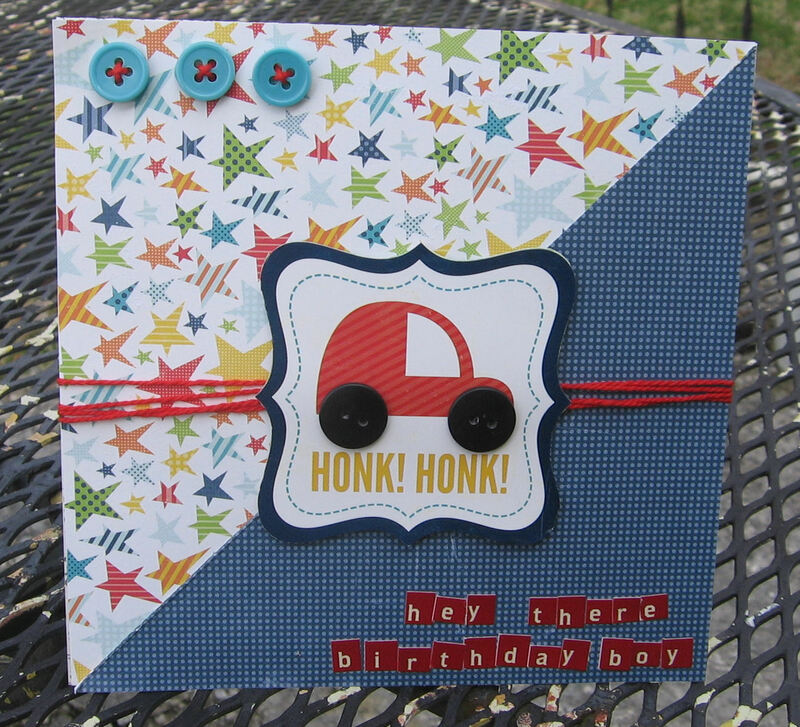 And so creative love, love, love the little car with the button wheels and the thinking of you card is soooo well co-ordinated! 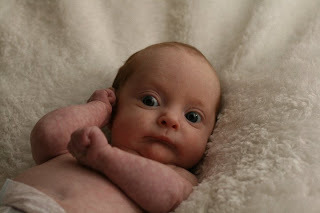 Your cards are awesome, and Nevaeh is just adorable! I have a layout that I put my own grandson's name wrong on! Talk about a brain fart! I put David Jacob, and his name is Jacob David. Still haven't fixed it - probably won't! Both cards are adorable. Love how you used the buttons. Gee, little Nevaeh is such a cutie. Thanks for joining us at I Did It Creations.